Every Thursday from here on out (don’t hold me to it, you can’t forget I’m LAZY) I plan on highlighting the things in my life I LOVE and really can’t live without (in my mind). OBV I love my family and friends so I’ll keep them out of this. This will be the fun little things in my everyday life that make me happy! 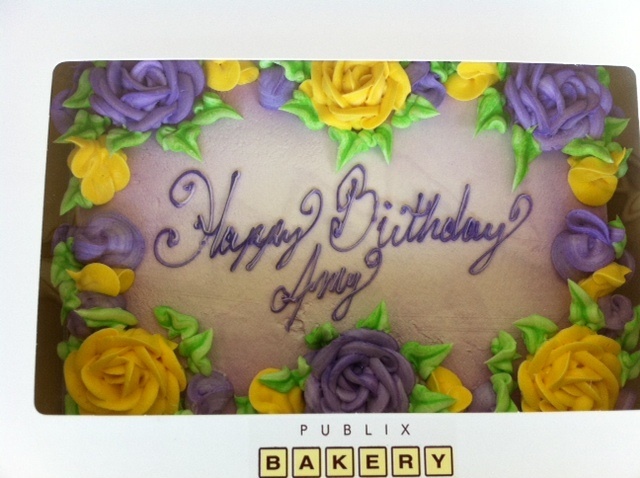 In keeping with the birthday theme (even though it was 3 weeks ago) I ABSOLUTELY LOVE Publix cakes!!! They are my favorite thing (even more than cupcakes). For those of you not in the South East, Publix is a grocery store that started in Florida. It is my all time favorite grocery store, not because I’m a Floridian, but because it just has great variety and high quality products! Their buttercream is AMAZING! 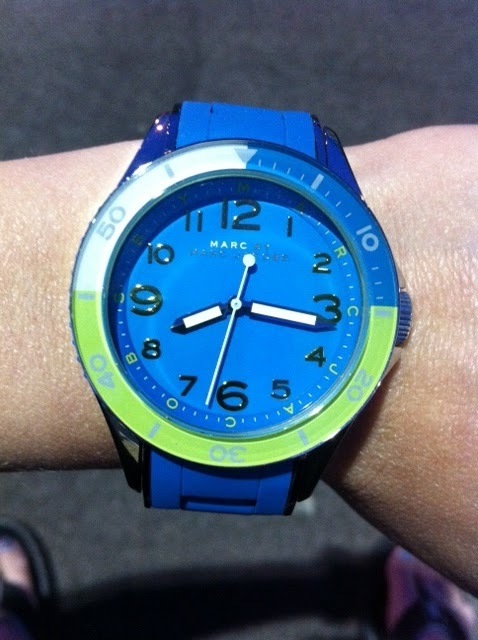 It just makes me happy! So of course for my family birthday celebration my mother picked up this lil guy! Publix’s buttercream icing with one layer of vanilla cake and one layer of chocolate cake! HEAVEN!!! I had a HUGE corner piece with a big flower and ate it ALL! 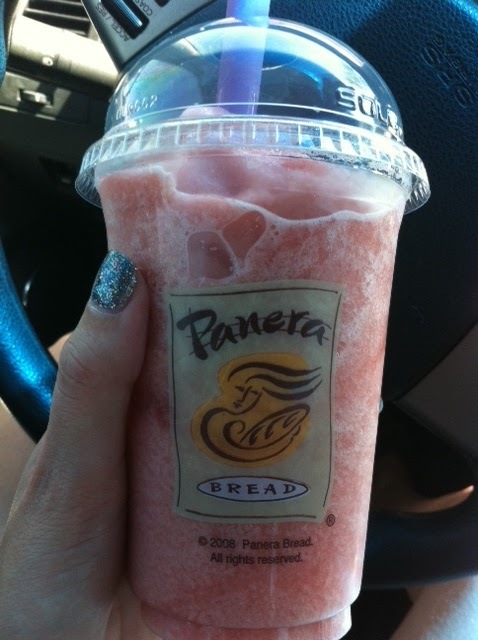 This blogging idea came to me today while I was picking up one of these bad boys, a frozen strawberry lemonade from panera bread! They’re only out in the summer 😦 but I became obsessed with them last year and was dying waiting for them to come back! Luckily they came back last week and I’ve been racking up the panera bread rewards so I always get a $1 off (which is nice because these are pricey)!! The strawberry lemonade is sweet, but has a little tartness from the lemonade and its great treat in the summer time! Also you can see my fun, glittery nail polish, that’s been on for 2 weeks (LOVE the gel polish)! And this color is just sooo fun, it’s called simmer n shimmer and I’ve been getting lots of compliments on it! It’s really held up well!! What are the little (or big) things you love? ?